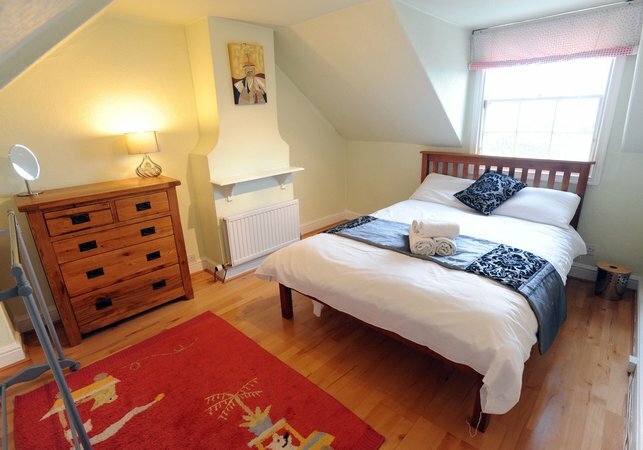 The master bedroom is located on the second floor of this 3rd floor Edinburgh apartment. It is quietly situated to the rear of the property. 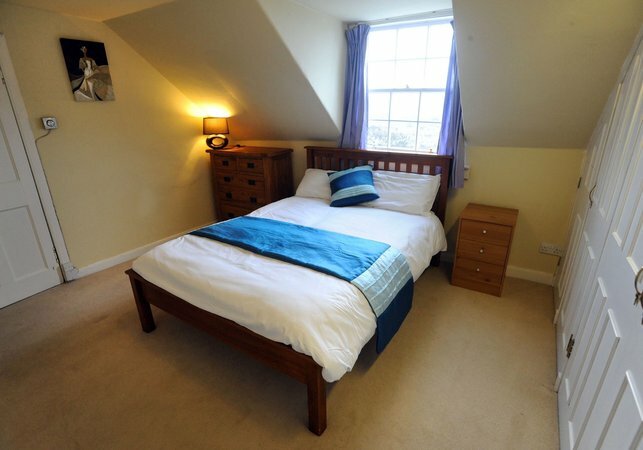 A good large double bedroom with full mirrored wardrobes and ample drawers. 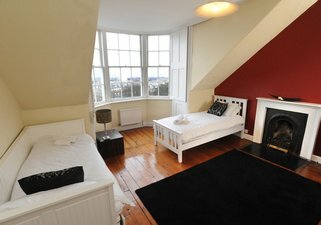 The room also benefits from a small balcony accessed via french doors. 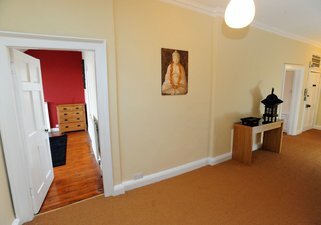 Overlooking the Edinburgh Newtown this good sized double has plenty of storage with built in wardrobes. Overlooking the Edinburgh Newtown this is another good sized double. 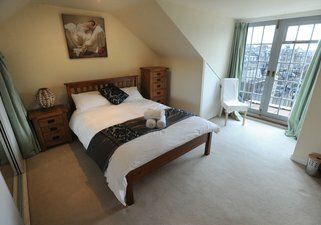 Located on the same floor as the lounge this is a spacious twin bedroom that has magnificent views over the Edinburgh Newtown and out to the river Forth. 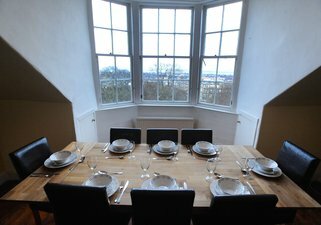 The kitchen is located to the front of the property with dinning area located in the bay window overlooking the gardens / city skyline. Washing machine, tumble dryer, cooker, gas hob, fridge freezer, dishwasher, microwave kettle, toaster. 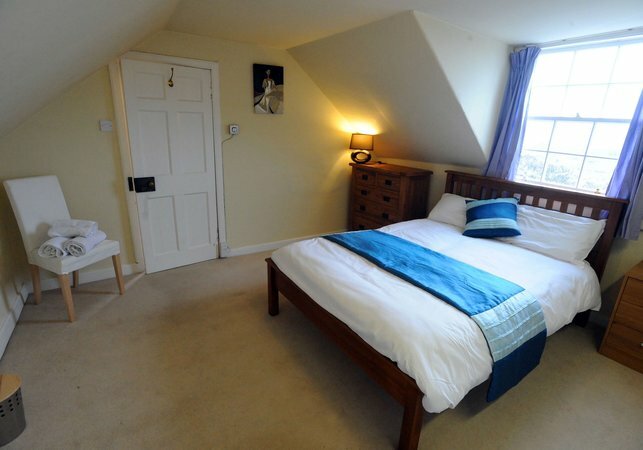 This apartment has a large family bathroom on the ground floor with full size bath and walk in shower. There is also a second bathroom on the first floor with shower and WC. 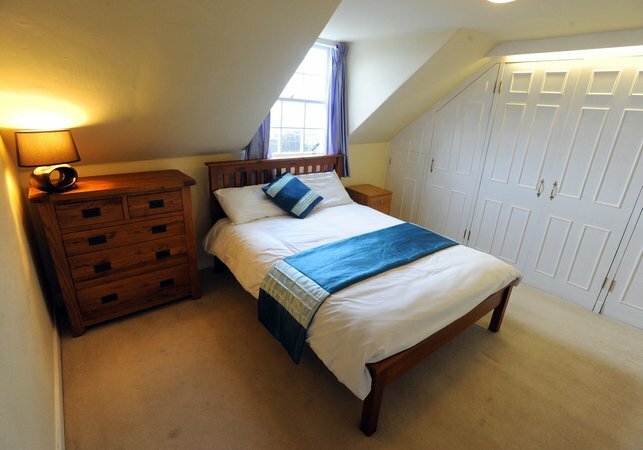 The property has 3 Double bedrooms and 1 twin bedroom. 1 of the twin beds can be a double. Arranged over 2 floors. Lounge, Kitchen, Bathroom and twin room on the main floor. 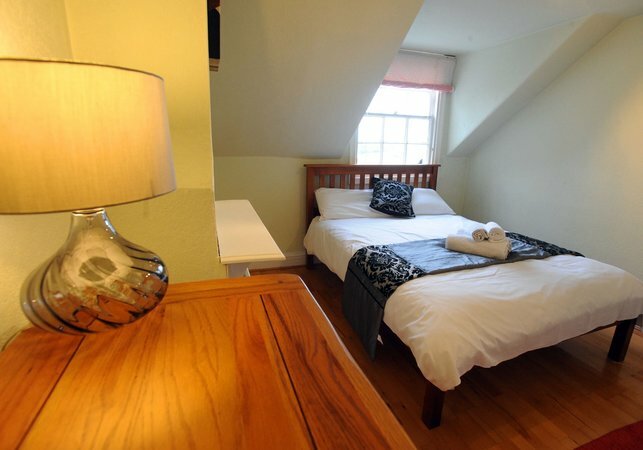 3 double bedrooms and bathroom on the second floor of the property. 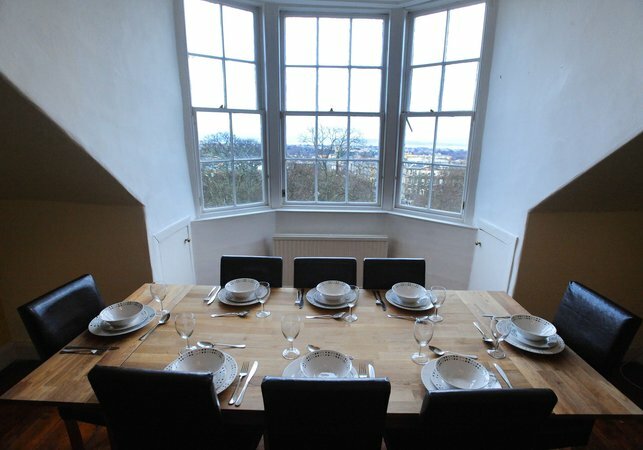 This duplex has stunning views over the Newtown and across to the Kingdom of Fife. 🚘 Omni centre carpark is located just 5 minutes from the apartment. The photos and description are very accurate and the view amazing. The location is perfect. Be prepared to climb a lot of stairs, but it is worth it! Jon responded quickly to any queries, even when on a charity bike ride. We would definitely recommend staying here. 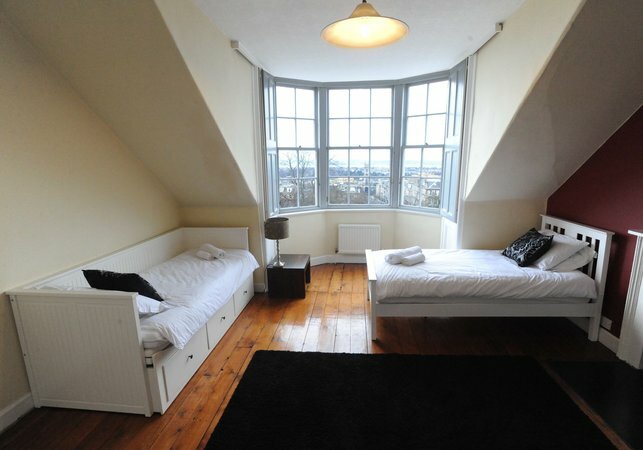 The location of the accommodation is perfect. It is located in the center. The apartment is very large and was very clean when we arrived. Since the apartment is on top of the building you also have a great view. At the equipment there was nothing to complain about and the wifi worked perfectly. All in all we had a great stay in Edinburgh. Die Lage der Unterkunft ist perfekt. Sie liegt mitten im Zentrum. Die Wohnung ist sehr gross und war bei unserer Ankunft sehr sauber. Da die Wohnung zuoberst im Gebäude ist hat man auch einen tollen Ausblick. An der Ausstattung gab es nicht zu bemängeln und das Wlan funktionierte auch einwandfrei. 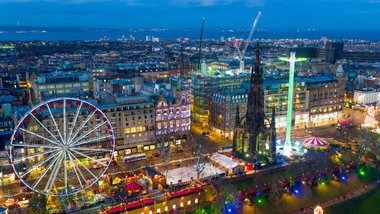 Alles in allem hatten wir einen super Aufenthalt in Edinburgh. 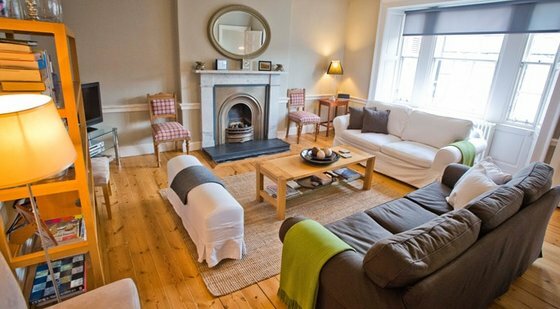 New world comfort and facilities in an old world Edinburgh townhouse which reflects the history of the city with regards to its architectural legacy. 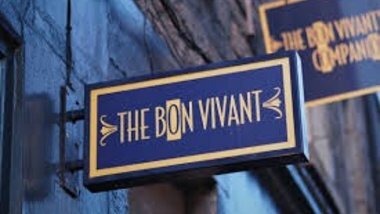 Jon was really helpful in getting our booking and special requests over the line and provided excellent recommendations around bars and restaurants around town - might have visited too many of the former over the weekend (for my sins!). Great flat, great location - enjoy a great piece. 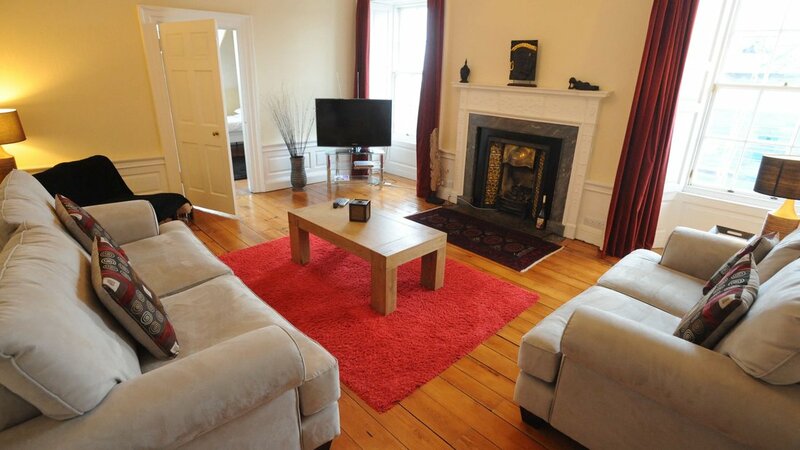 I booked this apartment for 6 of my friends for a whole weekend,the apartment is walking distance to Princess street and to George street. Checking in was done smoothly, the apartment is in very a good condition,the heating worked well through out our stay,everyone was very impressed with how big it was,it felt like being home away from home. We dint need to take a taxi even once coz all the restaurants and bars were within walking distance,the view from the kitchen is breath taking,could see as far as the Forth road Bridge. We thought it would be noisy at night but i think coz the apartment is all the way at the top,there was no noise at all. I will differently be staying here again when friends come to visit. Jon, Thank you for providing a wonderful flat! The location was perfect and it fit our needs nicely! You have been very helpful - we appreciate this very much. Edinburgh is lovely! We cannot wait to visit again. A group of us stayed in the Frederick Street Duplex in February for a weekend. The apartment was extremely spacious and well set out in an excellent location. 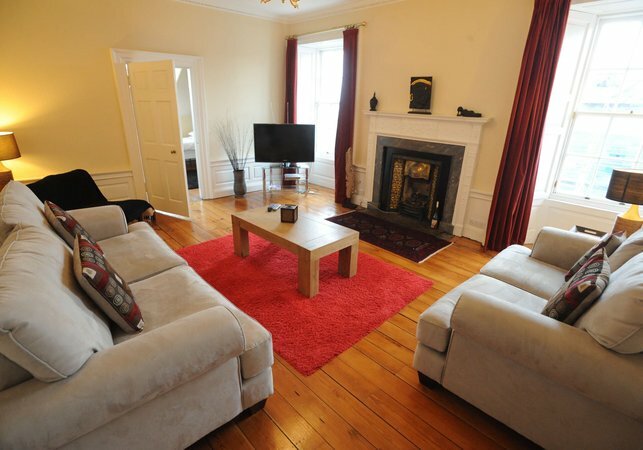 We all agreed that we would use this apartment again if we were to return to Edinburgh as a larger group. I cannot fault this stay (staircase to the flat aside!) 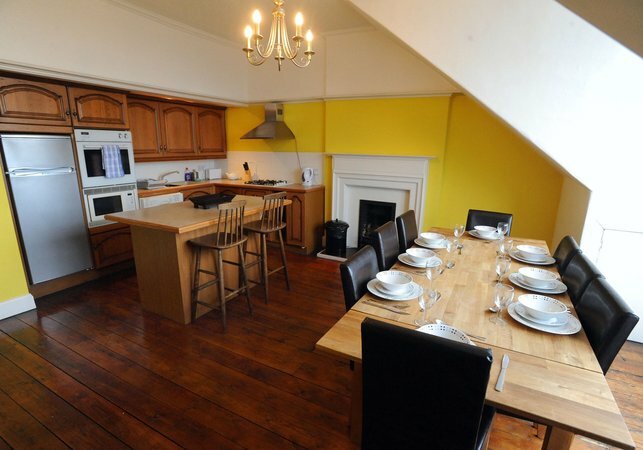 - the flat is lovely, spacious and perfect for group stays. Jon was extremely helpful and accommodating with our numerous requests and it made our trip to Edinburgh stress-free and very enjoyable. The quality of the apartment is very high and we felt we got extremely good value for money. We would definitely come again and recommend to our friends. We really enjoyed our stay, the place is really big, warm and comfortable. Travelled with a total of six people and stayed at the 64 Frederick Street location. My elderly parents were challenged by the climb to the top, but were well rewarded with their favorite location of their summer travels. 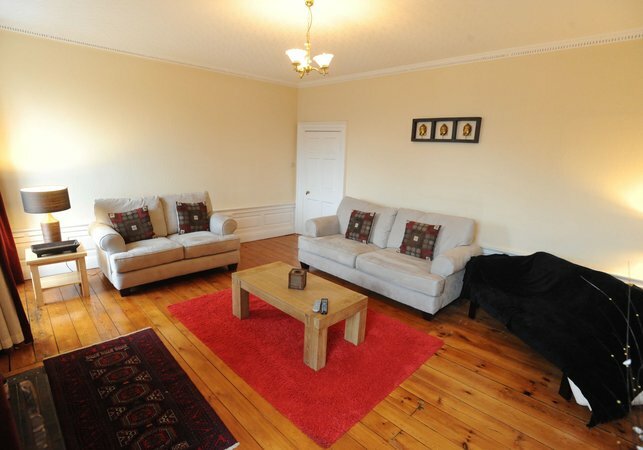 The apartment is well situated for all things Edinburgh. Clean; well kept; a perfect "launching pad" and well worth it! Highly recommend The Queen's Arms right across the street (Thanks for the recommendation Jon!). We have stayed here for 3 nights and we were very surprised by the enormous space in the apartment. Great living room and kitchen. The conact with Jon was even better, pointing out the places to be and helping out with train time tables to Dundee. And thanks very much for the easy and late check out !! 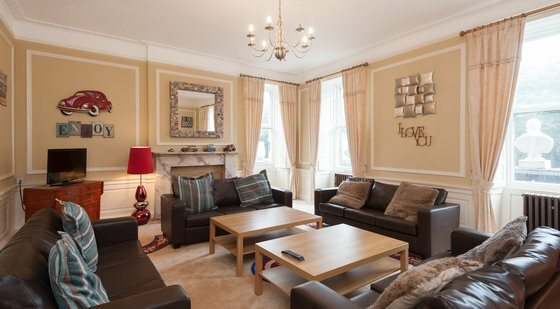 Definitely a perfect place staying in Edinburgh, only a short walk to all attractions, station and pubs !